Advocacy – Northern Rivers Wildlife Carers Inc. 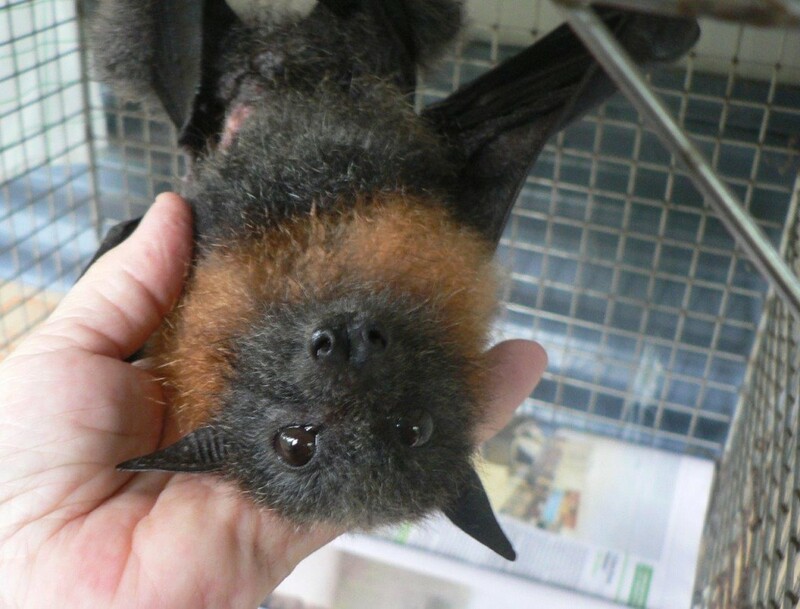 The little bat in this photo is Fedra: she was one of the lucky bats who survived being caught on the barbed wire security fence around Byron Bay High School (BBHS). 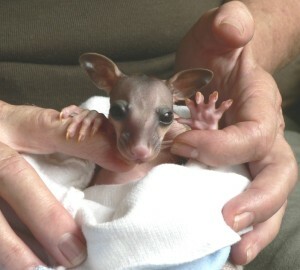 She is a Grey-headed Flying-fox (listed nationally as a vulnerable species) and only just over three months old. She was the inspiration to approach both BBHS Principal Peter, and Norm from the National Parks & Wildlife Service Office at Byron Bay, to see if they would consider either removing the wire or covering it with shade cloth. 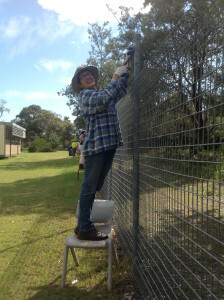 In recent years, Northern Rivers Wildlife Carers have rescued several flying-foxes entangled on this fence. This is mainly due to it being in such close proximity to the flying-fox food trees in the Arakwal National Park, which surrounds the school on three sides. Fedra was caught on the wire by her wing and her belly, making it a very difficult and distressing rescue. Once carers had removed her from the wire she was taken to MyVet Animal Hospital at Byron Bay where they anaesthetised her to remove the wire still entangled in her tummy. We decided then to send her to Currumbin Wildlife Hospital for X-rays as she also had some mouth damage and the hole in her tummy was quite large. Currumbin weren’t able to stitch the wound but glued it together to prevent infection. Due to the possibility of a fracture at the tip of her mouth, she was given a soft fruit/liquid diet which consisted of custard apples, juice and yoghurt. She loved this diet and recovered quickly and will soon be released back into the wild. Later NRWC carer Lou organised a meeting with the BBHS Principal and a representative from the National Parks & Wildlife Office in Byron Bay. We were surprised and delighted when the BBHS agreed to remove the wire! 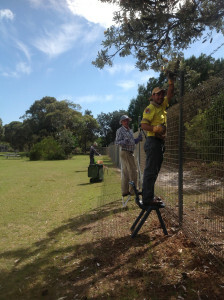 It was decided to replace the barbed wire around the school with plain wire and that the NPWS along with the Rural Fire Service would remove all vegetation within a few metres of the fence around the school. Once this is completed there should be no more entanglements. 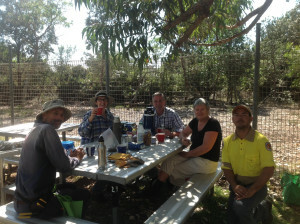 Six of us gathered on Monday, 7 September 2015 at the BBHS; Lou, Valerie, Miles, Rowan, Phoebe, (all of the NRWC), and Nigel Stewart (NPWS). With great enthusiasm and energy we removed three strands, almost 1.5 km long, of this horrible barbed wire. Hard work but very satisfying! 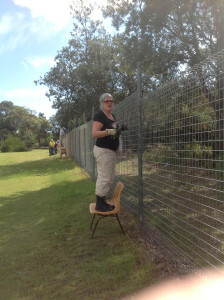 A very big thank you to Lou for liaising with the Byron Bay High School and the NPWS, and organising volunteers to remove the barbed wire. Great work Lou, and everyone who helped! Comments Off on Bats. Protect Them or Lose Them.